MELISMATIC: C'mon Girls, Do You Believe In Love? C'mon Girls, Do You Believe In Love? 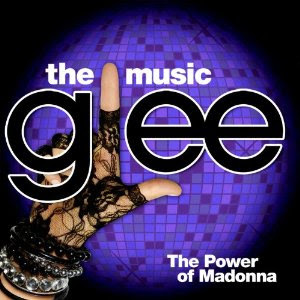 Last night, FOX aired Glee's intentionally epic Madonna-music based episode. While the plot was somewhat lacking overall, it was proof positive that the Power of Madge is alive, well and kicking. The soundtrack has seen supreme personal airplay on my end since I've gotten my hands on a copy -- particularly "Express Yourself" and "Vogue." Admittedly, I've fallen a bit off the Glee wagon, but it's safe to say I'm back on board 300% now. The real question is -- why is there no Broadway show in the makings with Ciccone music? If Green Day, Billy Joel and ABBA can do it -- why not the Queen of Pop? As for a Musical? I'd LOVE to see that! I think I kinda dig Madge after watching that episode, Express Yourself is kinda good and What It Feels Like For A Girl is kinda smooth too. I guess I'm sold with Madge. I believe this is the power of GLEE! @Aaron - You will love it. :) And I would DIE if it became a musical. @Paul - I agree the plot was a bit...meh ("BLOSSOM"!?!? I LOVED THAT SHOW!!!) but the music made up for all of its missteps. @Loy - Kinda dig Madge AFTER this? Where were you before? THE WOMAN IS THE QUEEN OF POP! You need to treat yourself to "The Immaculate Collection" (her best best-of). It does not disappoint. Trust.